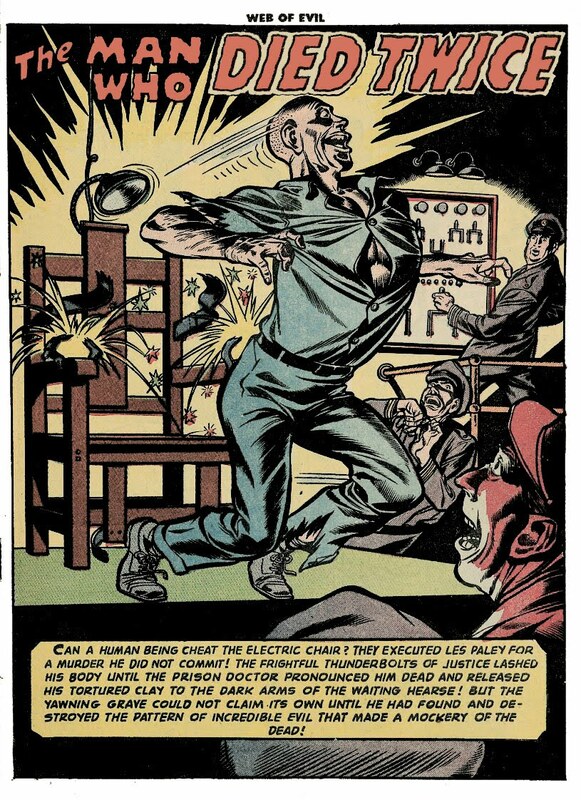 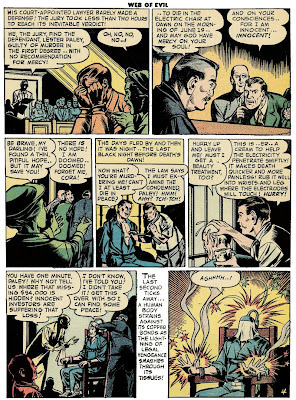 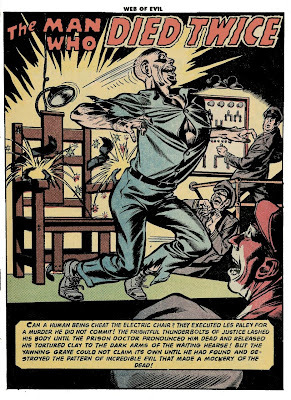 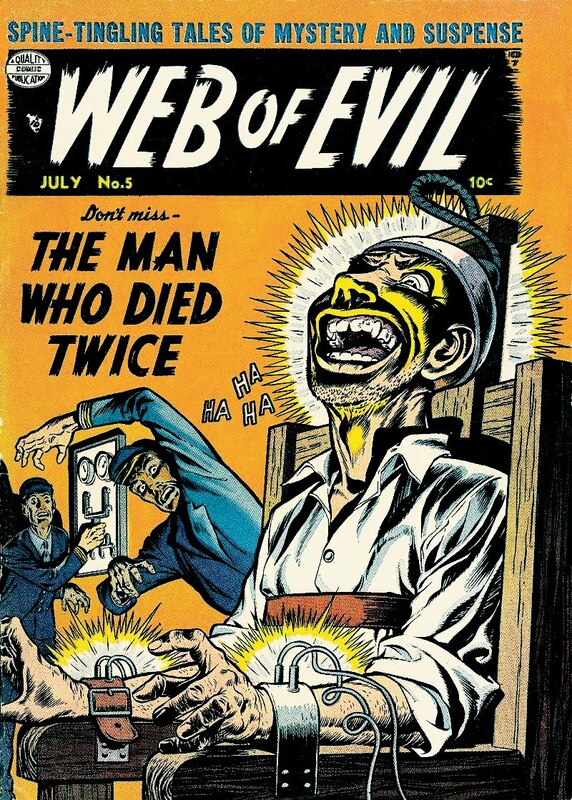 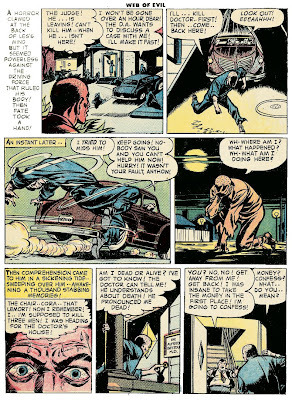 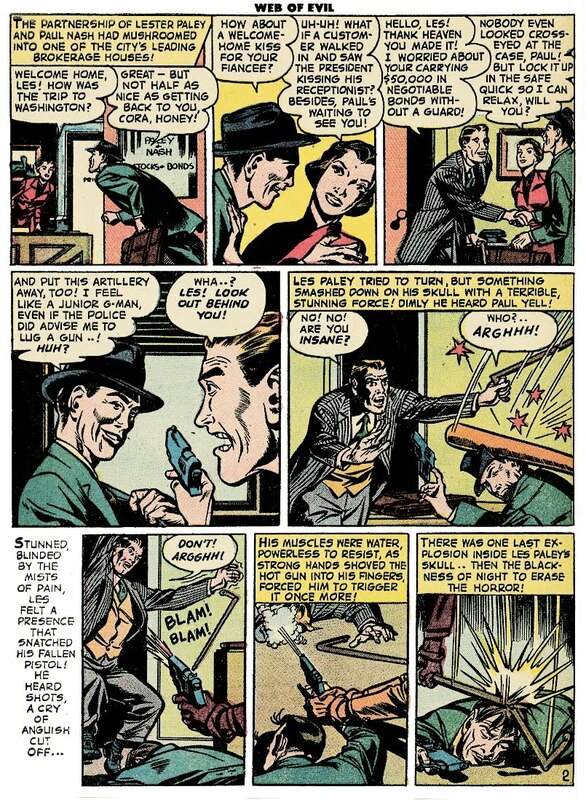 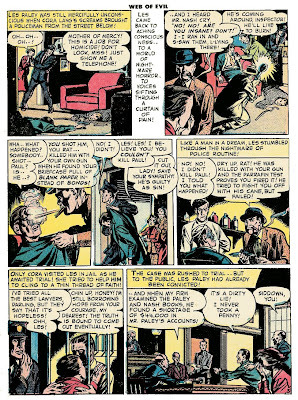 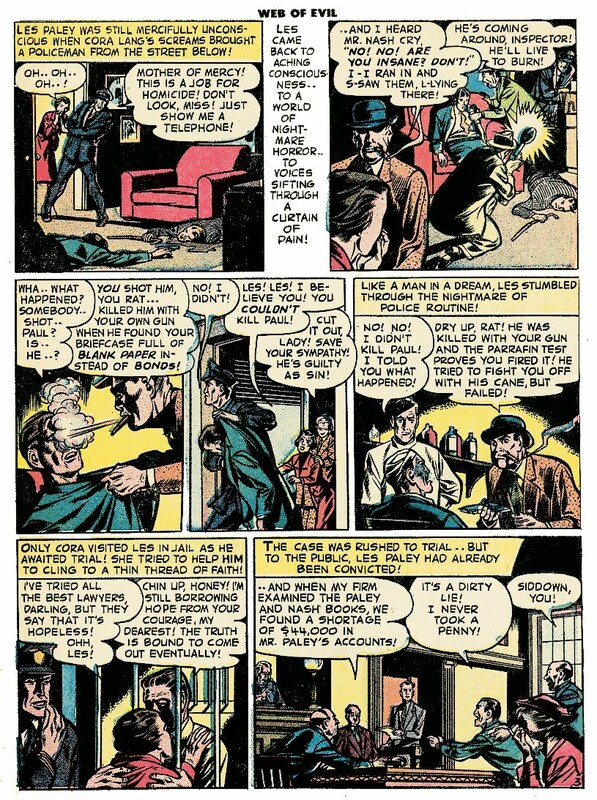 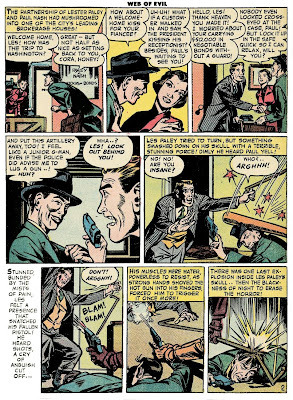 From Web of Evil #5 (1953), this is The Man Who Died Twice by Jack Cole. 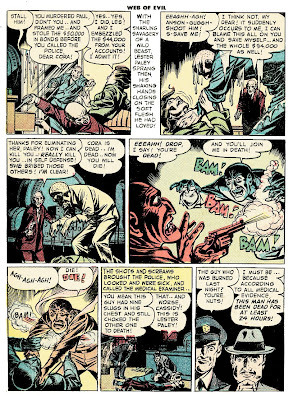 Scans have been cleaned up a bit for the web. 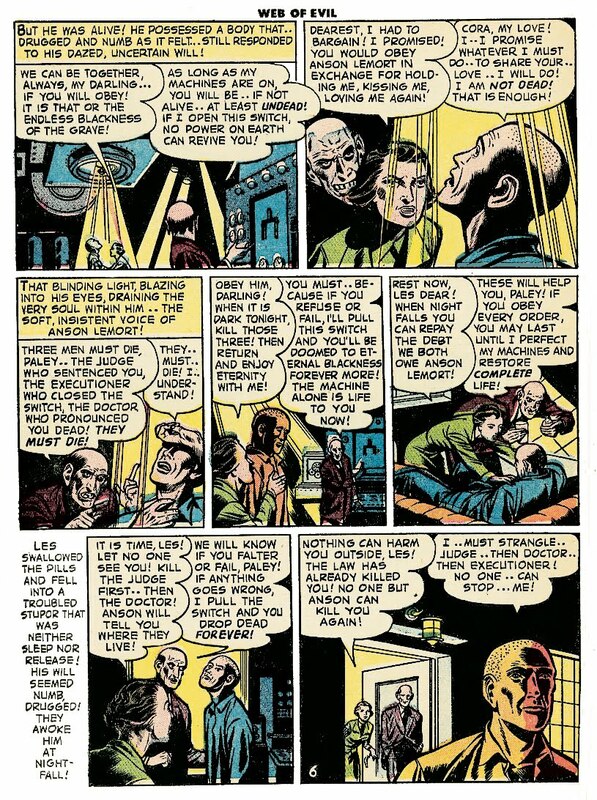 Some of the color registration os so bad, that there's nothing I could do about it -- barring spending far too much time fiddling with this -- and I have comics to draw -- so this is as cleaned up as this is going to get. 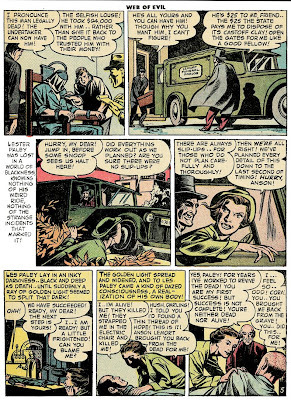 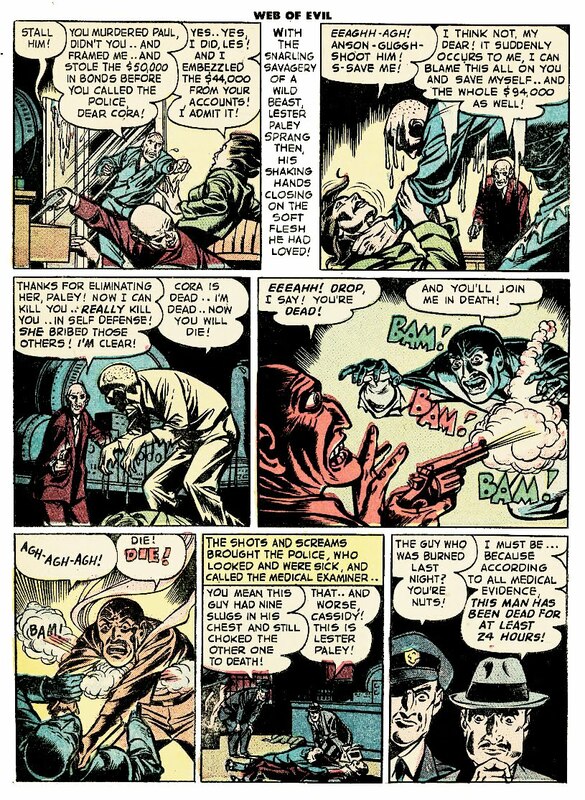 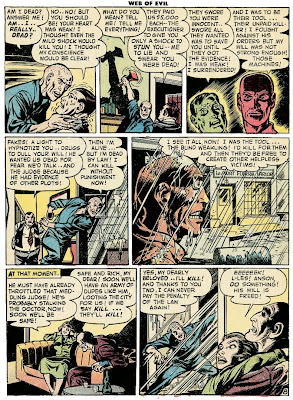 Anyhow -- enjoy this odd tale of terror and suspense from the one and only Jack Cole!